I found Richie Quake on Spotify’s “Fresh Finds” playlist, his track came on right after mine and I was immediately taken by his infectious vocals, it was right up my alley. The song was “Nothing In My Head”, and I knew exactly what I wanted to do with it, so I DMed Richie on instagram and proposed collaborating on a song or two while he remixed ‘Nothing in my Head’. I hit up Slvmber, my homie who I did the award winning remix for Jack Antonoff’s Bleachers single, “Don’t Take The Money” with. 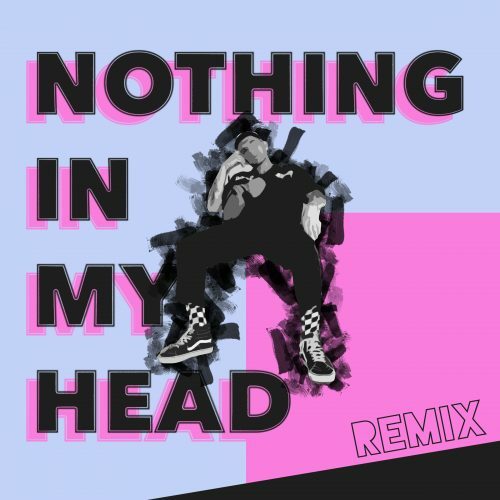 Our remix of ‘Nothing in my Head’ merges 80s synths and layered beats while it takes the listeners on a sonic journey letting them go of the stresses in their head and giving way to the hypnotic swing in the drums. h2the live in Tel Aviv (one night only)Howl is Out Now!